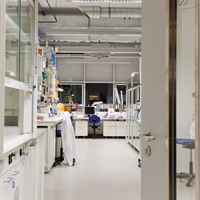 Laboratories of the MPI for Developmental Biology. The Max Planck Society is an equal opportunity employer. It seeks to increase the percentage of female employees in areas where they are underrepresented. Qualified women are therefore particularly encouraged to apply. The Max Planck Society is also committed to employing more individuals with disabilities, and disabled applicants are preferred if qualification is equal. Students and scientists interested in working in a specific research laboratory are encouraged to contact the head of the laboratory directly, even if no positions are listed below. Go to the Postdoctoral Guest Program here. IMPRS: International Max Planck Research School “From Molecules to Organisms” of the Max Planck Institute for Developmental Biology, Friedrich Miescher Laboratory and the University of Tübingen. Next selection for the IMPRS opens January 2019: How to apply. Students interested in research in a particular laboratory can also contact the department or research group leader of interest directly.